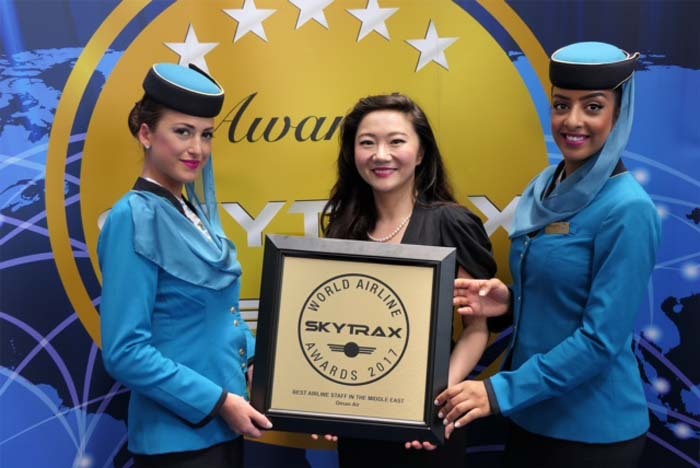 MUSCAT, Oman, 2017-Jul-13 — /Travel PR News/ — Oman Air has been named as the winner of the ’Best Airline Staff Service in the Middle East’ award at the prestigious Skytrax World Airline Awards 2017 – voted for by air travellers based on their own experiences. This entry was posted in Airlines, Business, Festivals and Events, Travel, Travel Awards, Travel Management, Travelers and tagged Best Airline Staff Service in the Middle East award, oman air, Paul Gregorowitsch, Skytrax World Airline Awards 2017. Bookmark the permalink.